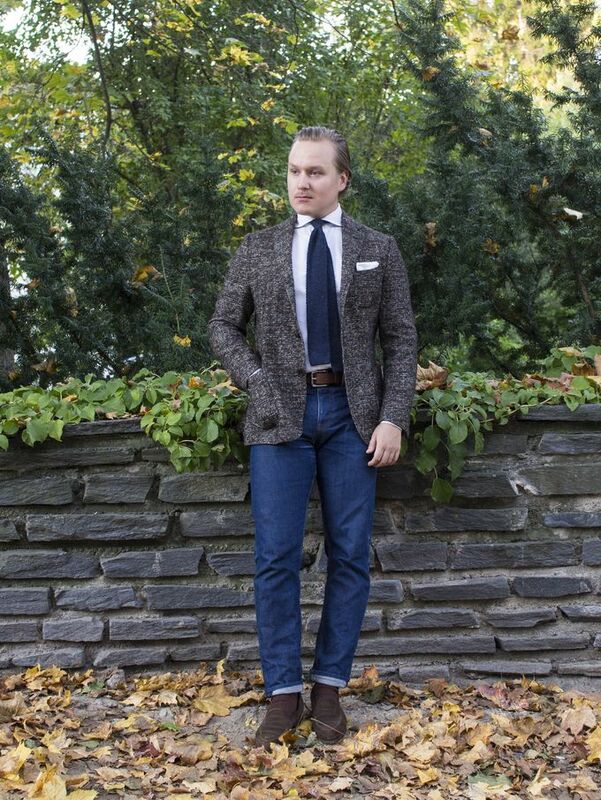 This week's post is from a few months ago, presenting a more casual approach to a regular fall evening stroll. All the pieces are more or less relaxed and the materials are selected to fit the season and the weather. The worn clothes include an unstructured wool jacket from Lardini, spread collar Oxford coton shirt from SuitSupply, wool Donegal tie from Berg & Berg, bridle leather belt from Equus Leather, denim from Norse, wool socks from Berg & Berg and suede loafers from Septieme Largeur. 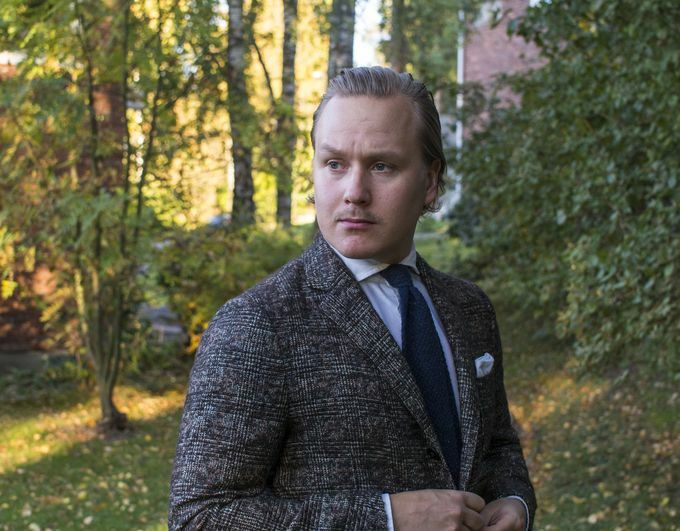 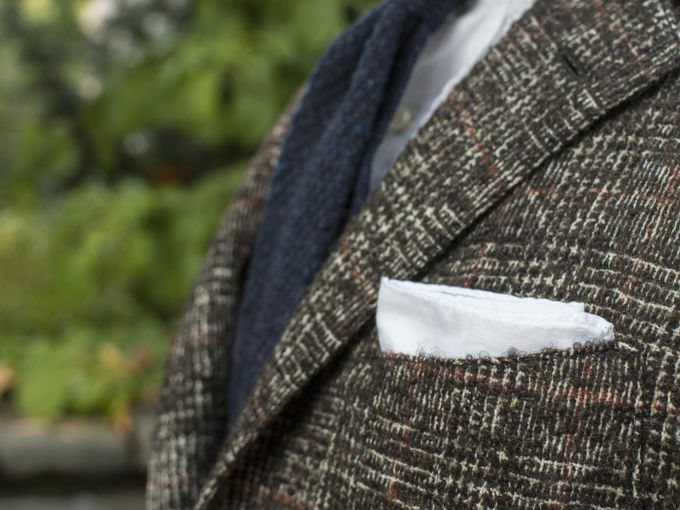 Due to the somewhat busy pattern, I tend to go for a plain white pocket square with this jacket. 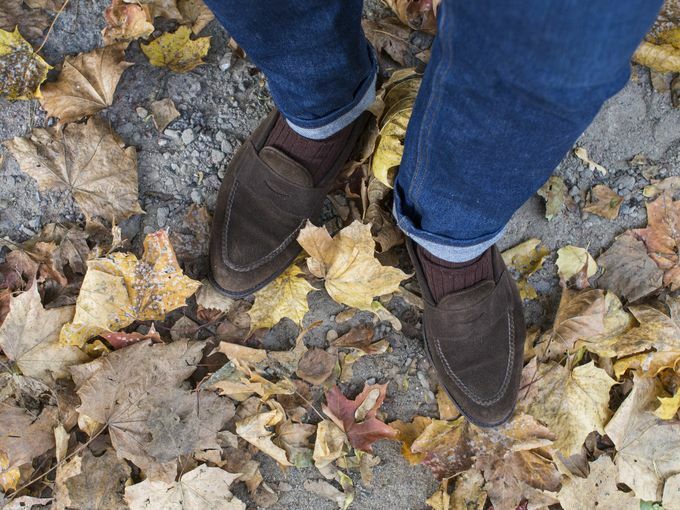 Suede loafers still make a great casual choice during early and mid autumn season when the ground isn't wet yet.